Like Rapunzel, most of us grow up with a healthy fear of the people and places that could do us the most harm. 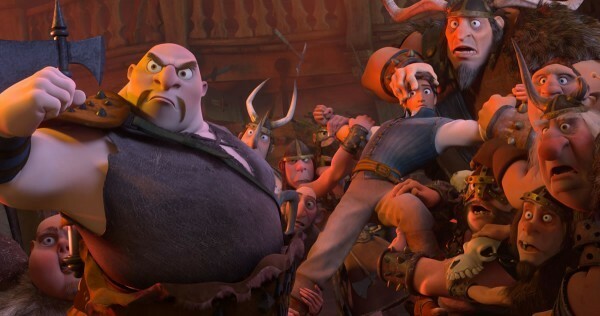 Gothel taught Rapunzel to fear “ruffians and thugs,” just as our parents do to keep us safe. It’s a really good lesson for kids to learn. Problem is, as we grow older, we learn to associate people with what they do or have done rather than for who they are or who they can become. There’s a balance between being wise and being judgmental, which few people learn to overcome. As we face the reality of “nasty” places and people in real life, we have a decision with how we react to them. 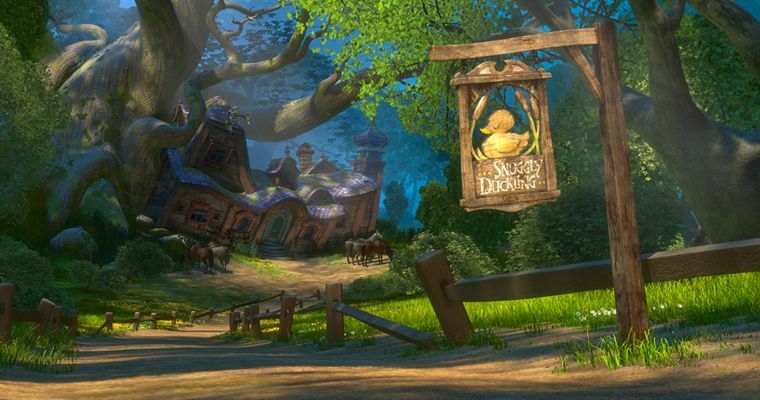 At the beginning of Rapunzel’s journey, Flynn Rider takes her into the “red-light district” of fairy-tale land to freak her out: the Snuggly Duckling. He hoped it would scare her and make her run back to her tower. He hoped it would “wise her up” to the realities of the world that she couldn’t handle. He hoped it would kill her pursuit of going after her dream. Rapunzel was wisely scared and cautious upon entering the hangout of the meanest men in the land. However, as they threatened to kill Flynn, her one chance at finding the lights, she voiced her heart to those ruffians. 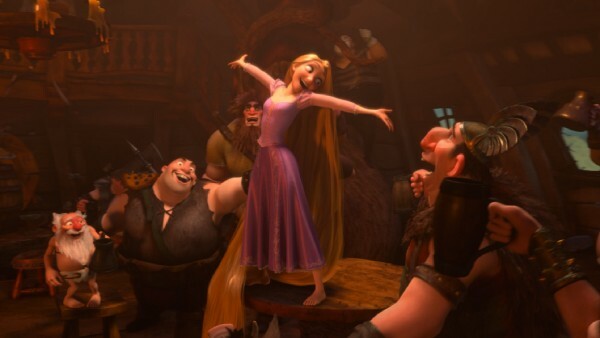 Rapunzel: [to the group of thugs] Have some humanity. Haven’t any of you ever had a dream? I had a dream… once. Rapunzel’s presence completely changed the atmosphere of the snuggly duckling! 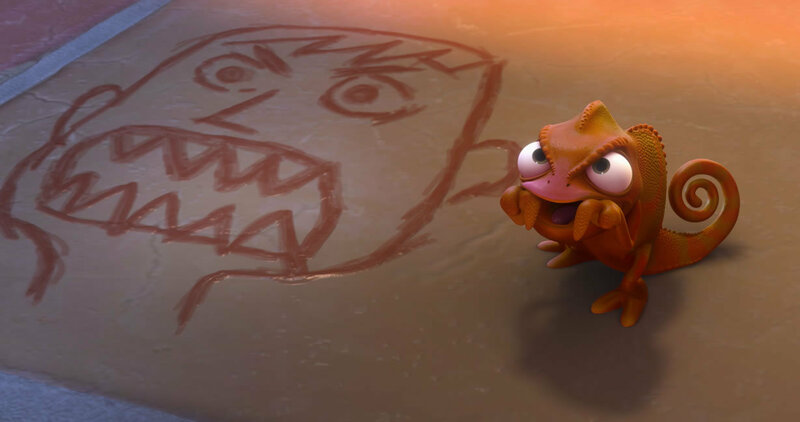 I love that the roughest, toughest, ugliest people began to sing and dance like little kids. It shows how one person can let loose a spirit of hope. I love how it reflects the reality that WE can bring the best out of people. 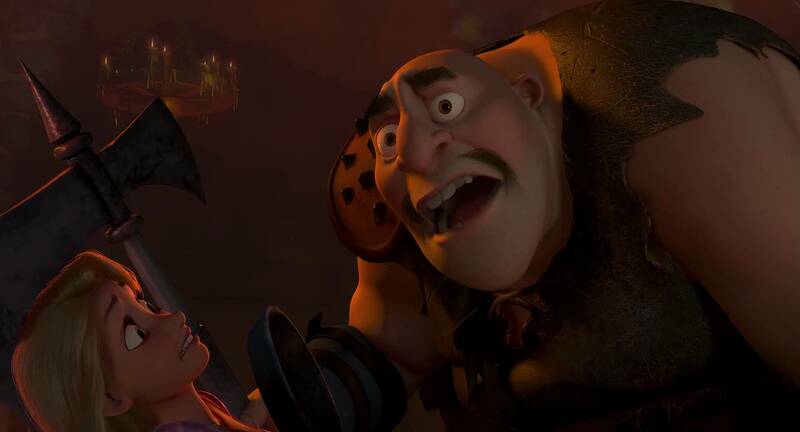 Rapunzel draws the good out of the grossest, nastiest, weirdest men you could imagine. Don’t get me wrong: I’m not saying we’re all supposed to go marching into scary places. (although some people are called to do that, but that’s for a different blog.) However, how do we react when we end up there? Rapunzel didn’t go looking for trouble. She also didn’t start preaching to them telling them what bad people they were. She was just on her journey, looking for the light, and ended up there. In going after her dream and being honest with the people she came across, she released other people to go after their dreams. Her presence changed the atmosphere of the entire place! Sometimes, on our journey with the Lord, we end up in rough places. Sometimes the enemy leads us to places in hopes we will give up on our dreams. The cool part about God is He uses all things for the good of those who Love Him. When we bear the light of Christ, just showing up can completely change things. We don’t even have to try: we just have to be. How about the “thugs and ruffians” you run into? How about the sluts, weirdos, nerds, jocks, nobodies, the who-evers? Do you see the good in people and the potential inside of them, or are you stuck on their labels, the things their lifestyles represent, or the bad things they’ve done in their past? Do you care to invest a little time into people’s lives to draw out the good in them, or do you just judge them for what they’ve done and go on your way?